GPRS LLC was contracted by a large construction company to locate rebar reinforcement within a concrete slab. The company had initially planned to break out portions of the slab in order to pour new footers for future columns. The extreme width of the rebar reinforcement, as well as the depth of the slab made it cost prohibitive for their initial plan to stay within original cost estimates. The revised planned called for anchor bolts to be placed within the slab for placement of future columns. 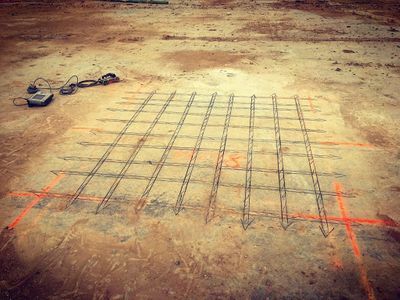 GPRS was able to locate reinforcement within slab, so anchor bolts for future columns could be installed without coming in contact with the rebar within the slab.